Numerous Hopkins students wander our beloved campus, possessing unrecognized talents or passions. Emily Wang ‘16 is one such scholar. 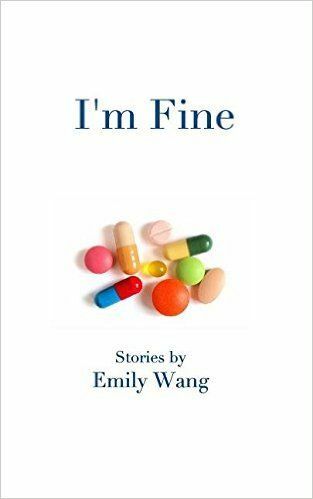 Her unbridled ardor for writing has led to her first nationally published collection of short stories entitled I’m Fine. Inspired by her mother’s studies in American Literature and her own literary creations reaching back to second grade, Wang has parlayed her dedication to writing into an impressive anthology of short stories. I’m Fine is a 200-page collection of sixteen fictional tales. When pressed for her favorite piece of the book, Wang conceded that she starts her publication with her cherished tale “Confessions of a Reaper,” inspired by one of her favorite novels, The Book Thief. However, when one of Wang’s English teachers was asked the same question of I’m Fine, a resounding “all of them!” was enthusiastically put forward by Joseph Addison. Addison, Wang’s “Writing Semester” teacher. Addison commented, “Emily has a burning desire to write, and I really just tried to help facilitate that during Writing Semester. When you have a student who is committed to the writing process, you really just try to keep that "re burning, and that was very easy with Emily.” Addison added, “Emily has a very good sense of cadence, and her prose undulates with purpose; she is a very natural storyteller.” In her book’s acknowledgements, Wang specifically thanks Addison, English teacher Benjamin Johnson and others at Hopkins who supported her published work. Wang said her future aspirations include “writing for a school newspaper, becoming a contestant on “Jeopardy”, and maybe discovering a protein or something.” However, whether Alex Trebek comes calling for Emily or not, one fact remains a sure bet for the Daily Double: Emily Wang is an accomplished literary artist of whom Hopkins can be proud!